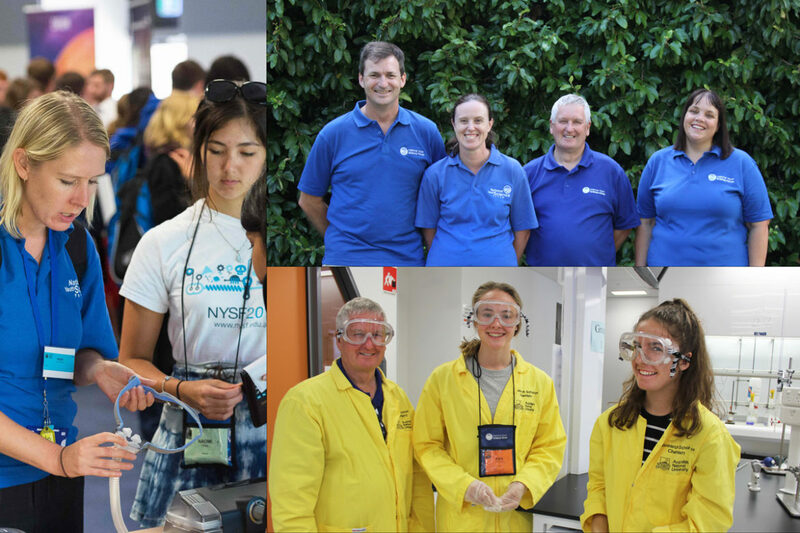 Every January the National Youth Science Forum (NYSF) welcomes just under 600 year 12 students to Canberra and Brisbane for 12-day science experiences, hosted on the campus of The Australian National University (ANU) and The University of Queensland (UQ). The students are led by 23 Student Staff, or “Staffies” per program, former participants of the program who return after participating in extensive leadership training. Six to eight Volunteers, who stay on site throughout each program to provide pastoral care and first aid, also support the students. Our Volunteers are a crucial part of the supervisory team during our NYSF Year 12 Program, and play a key role in ensuring that our participants and Student Staff have a safe, happy and healthy program. Rotary volunteers may stay for all or only half of the program duration. For Rotarians who are involved with the NYSF through the selections and orientations process, being a volunteer during January is a fantastic opportunity to see first-hand what the NYSF is all about, and to take that experience back to their club and district. We also welcome NYSF and NSSS Alumni back for these roles. Please note it is not a requirement to be a member of Rotary to take on this role. For more information on these roles, and for details on how to apply, please contact us.